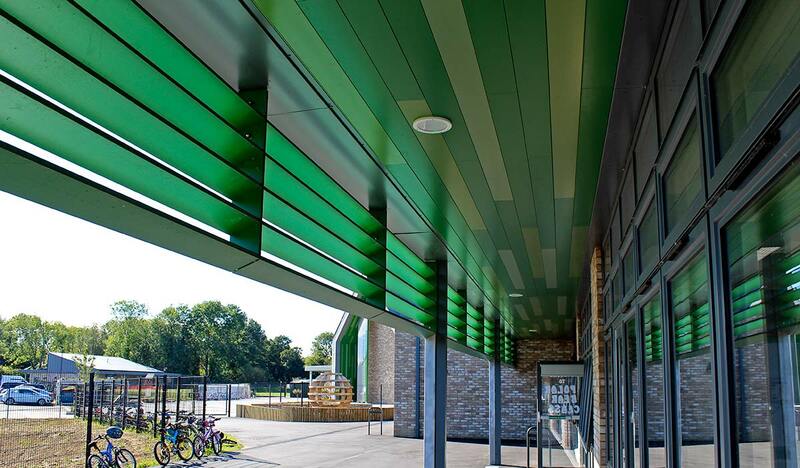 VulcaLap® T&G150mm multi-coloured and white soffit. 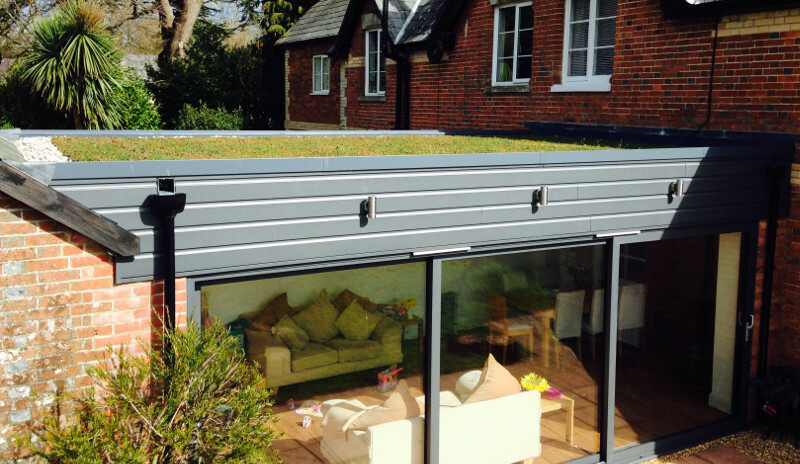 Installed by CFS Contracts. 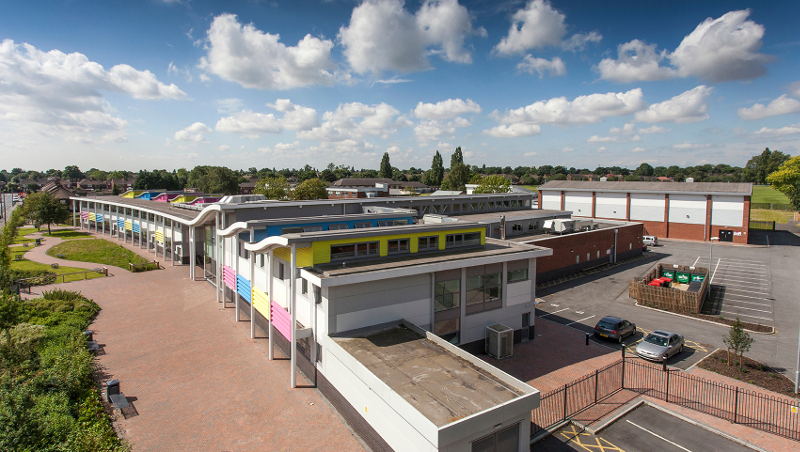 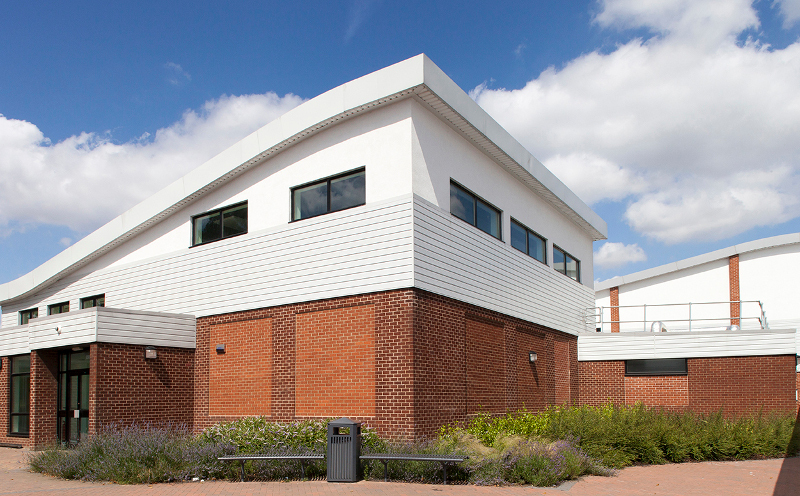 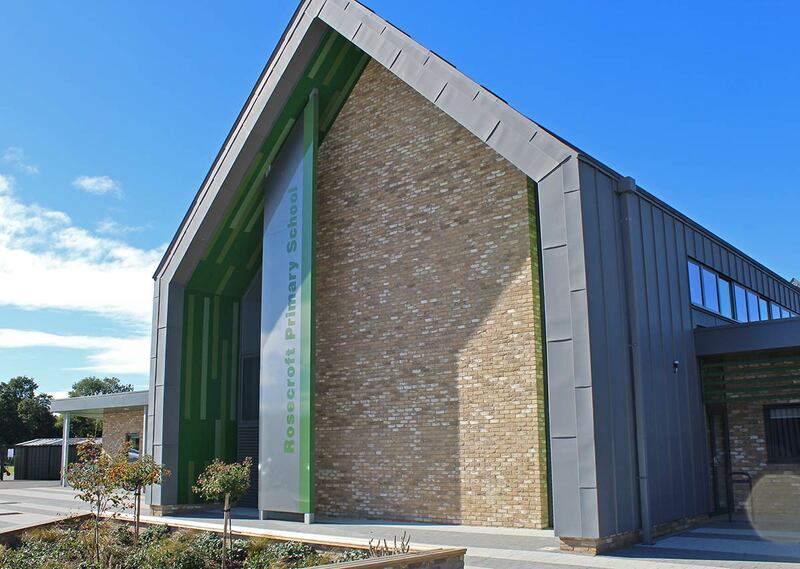 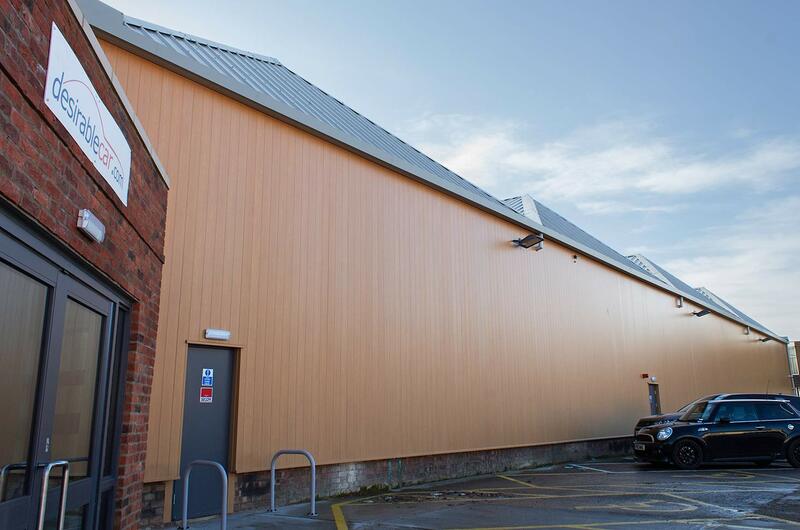 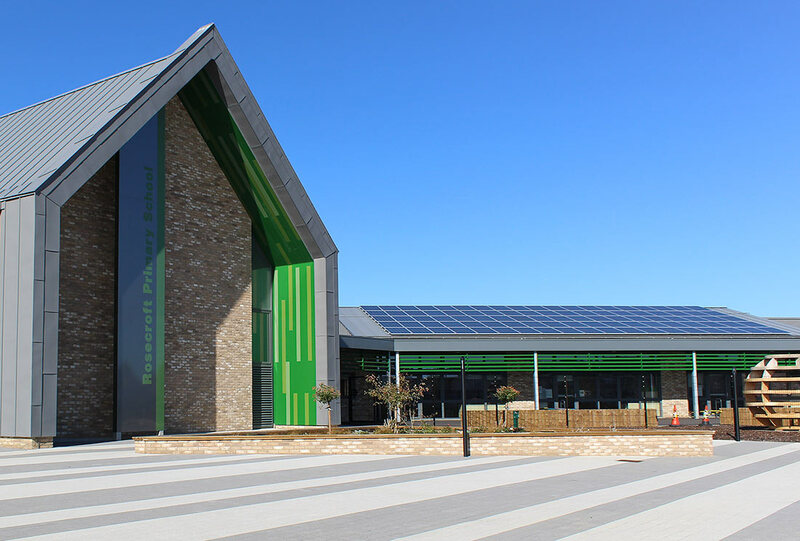 VulcaLap® Shiplap - RAL 3001, Cannons Leisure Centre, Mitcham. 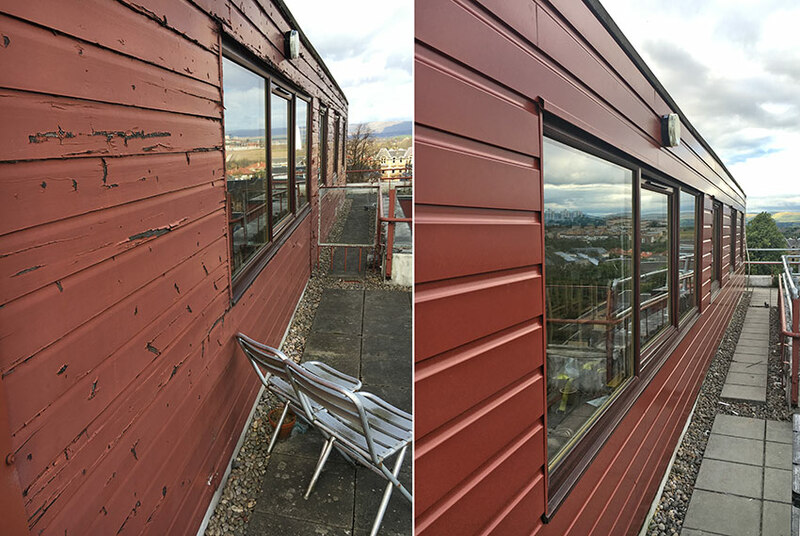 Installed by Squaredeal. 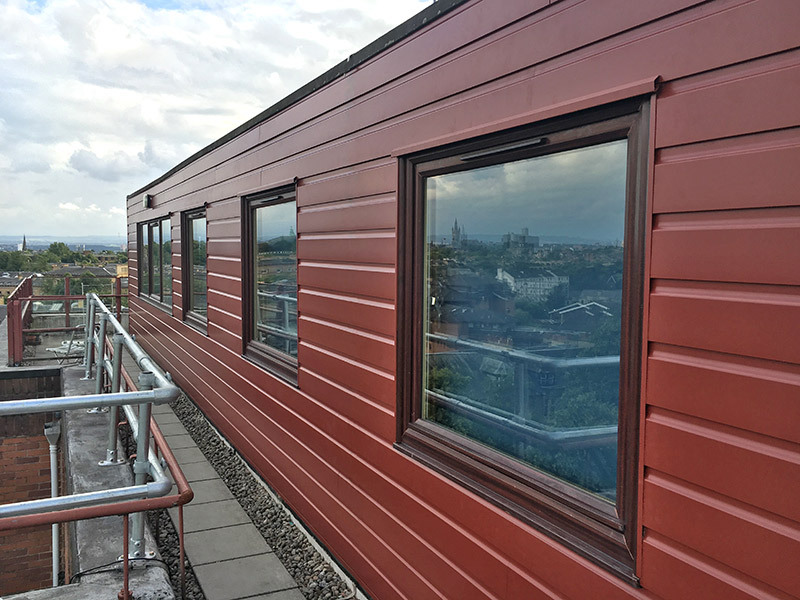 VulcaLap T&G150 RAL 7000, RAL 3002, RAL 1028, RAL 5018, Installed by John Brown (Strone) Ltd.
VulcaLap® Shiplap - RAL 7016 Matt. 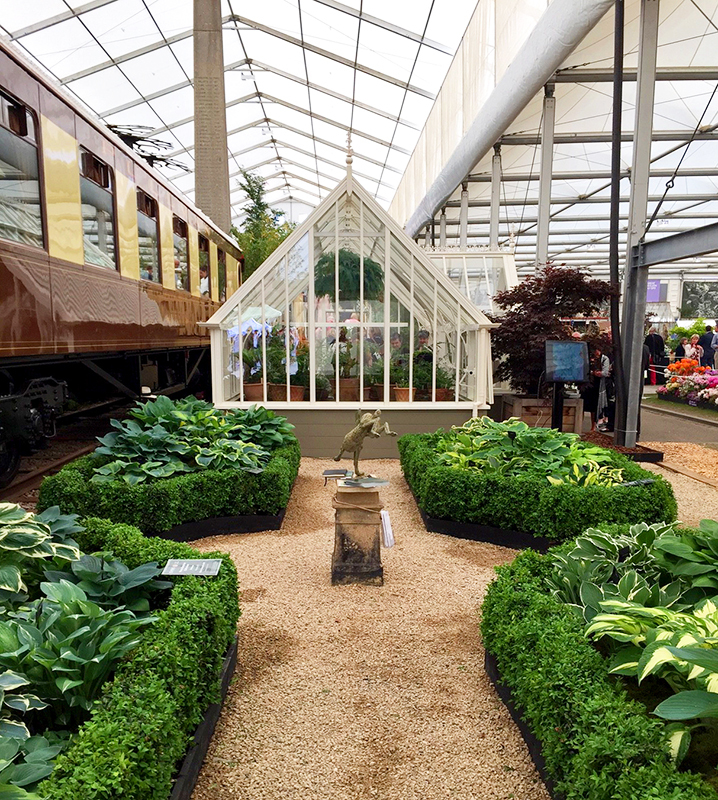 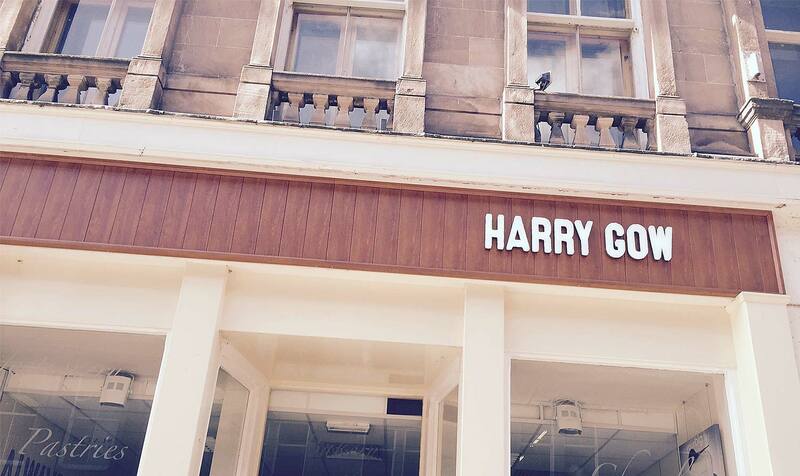 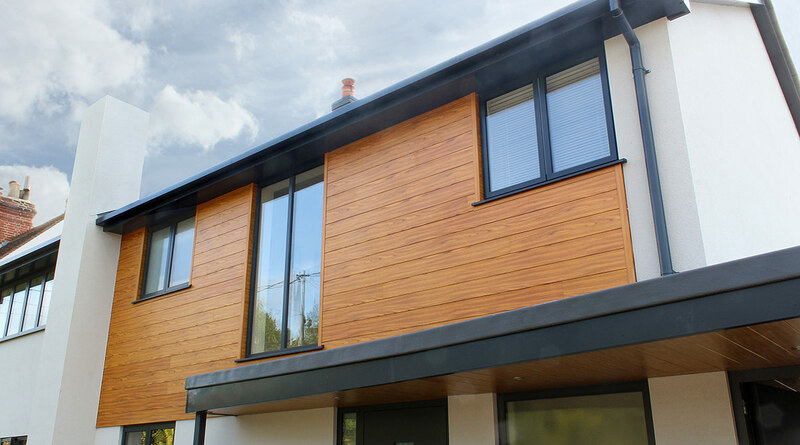 Installed by Woodhouse-Barry Construction. 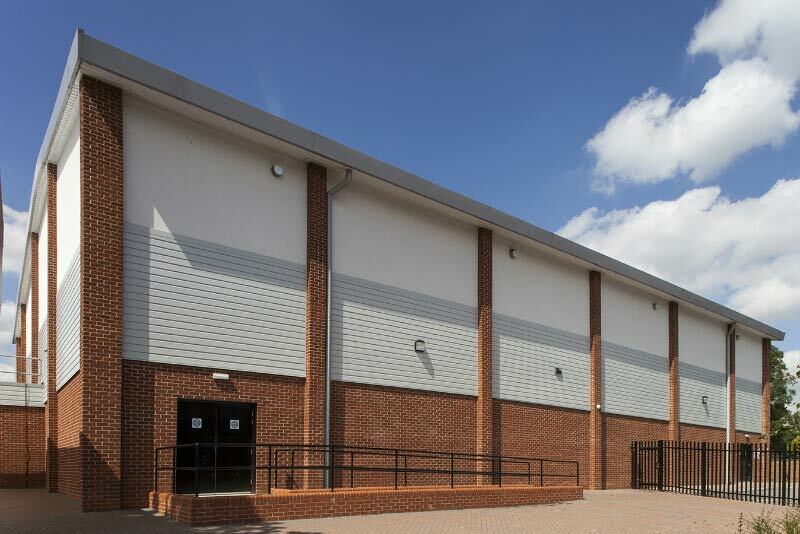 VulcaLap® Shiplap - RAL 3001, Cannons Leisure Centre, Mitcham. 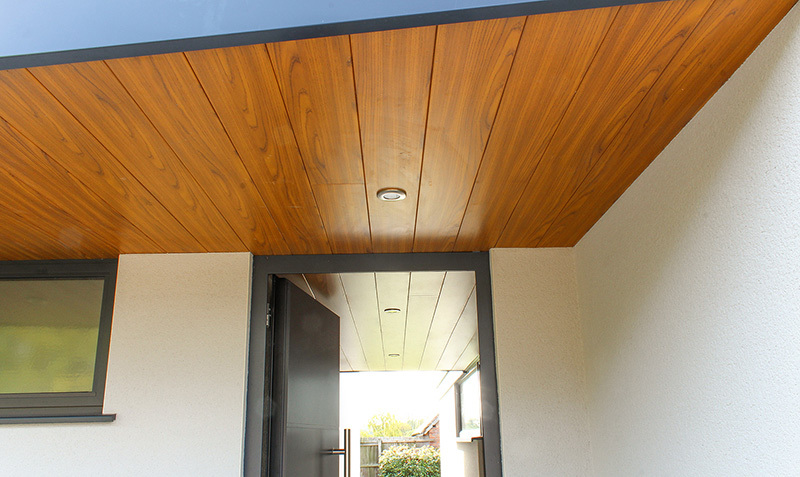 Shiplap Fascia and T&G150 Soffit. 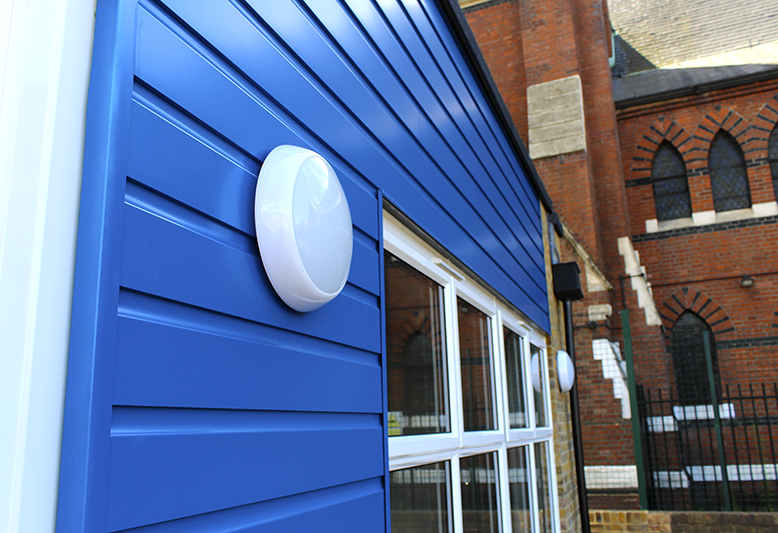 Installed by Squaredeal. 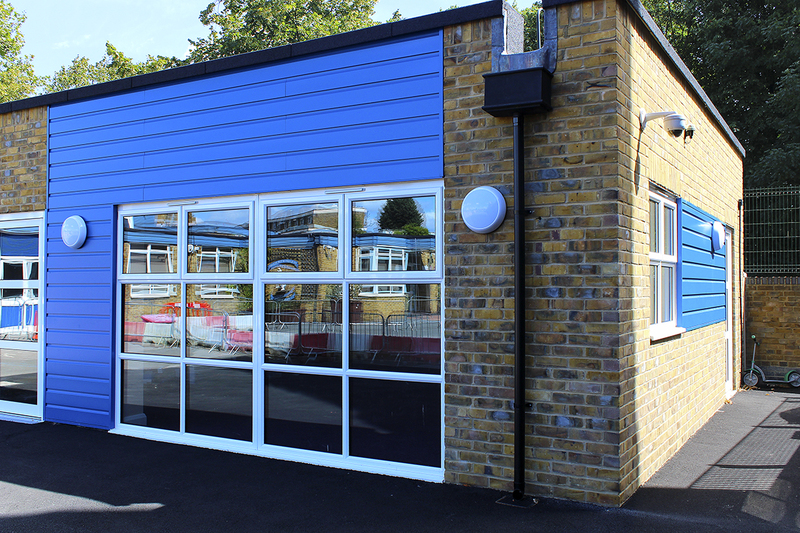 VulcaLap® Shiplap - RAL 5017, St Helens School, Brixton. 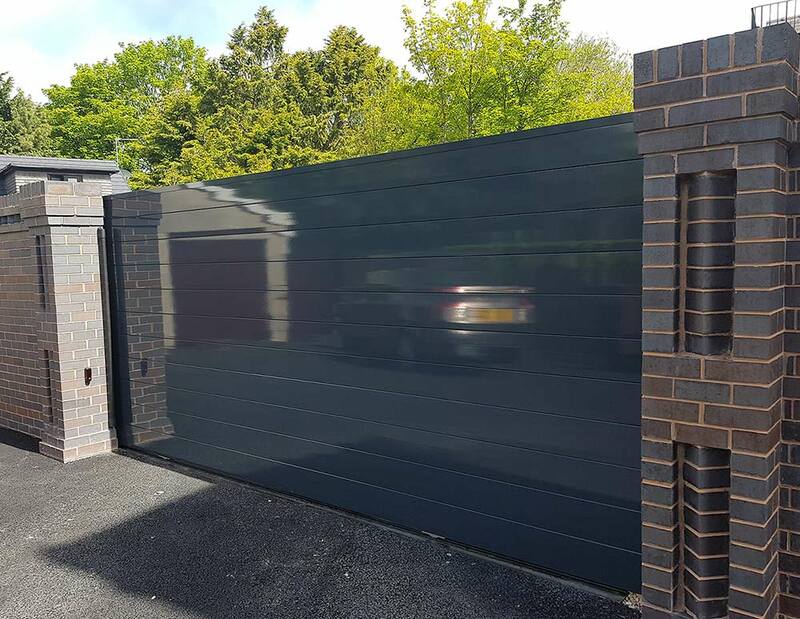 Installed by Woodland Commercial. 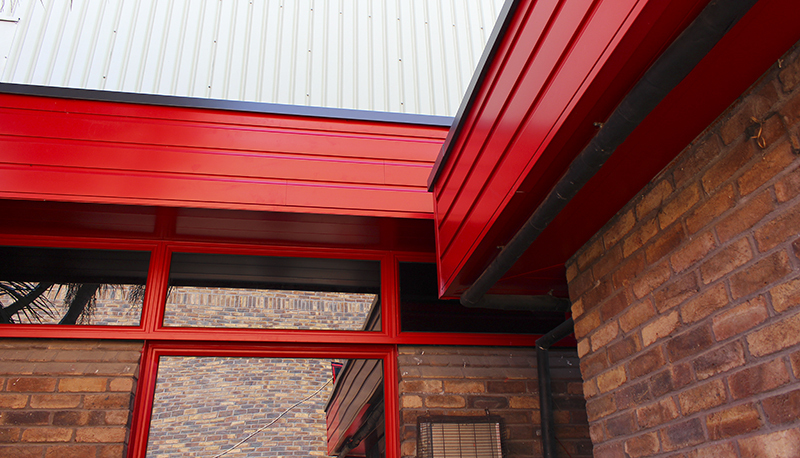 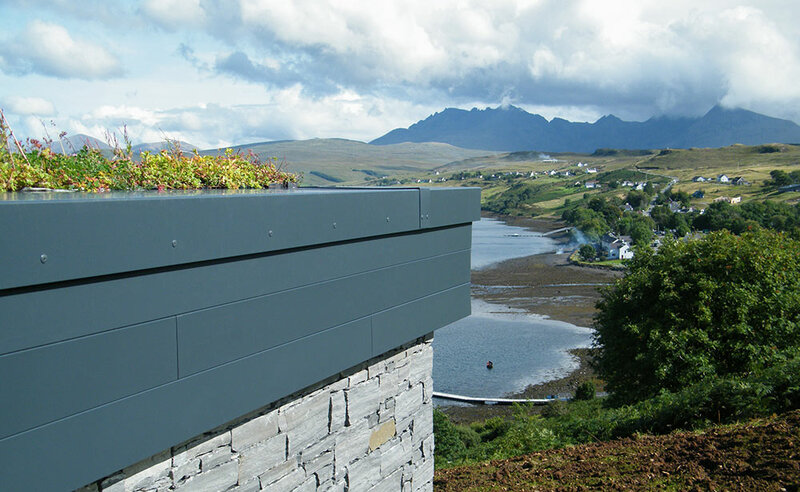 VulcaLap® Shiplap - anodised. 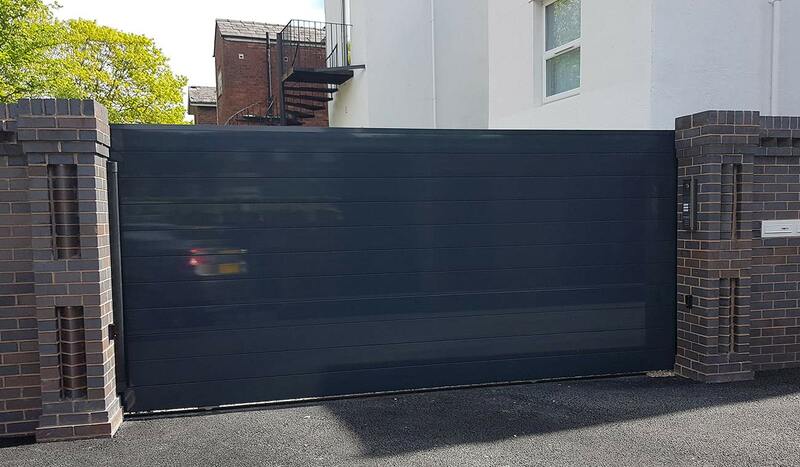 Installed by SIS Security. 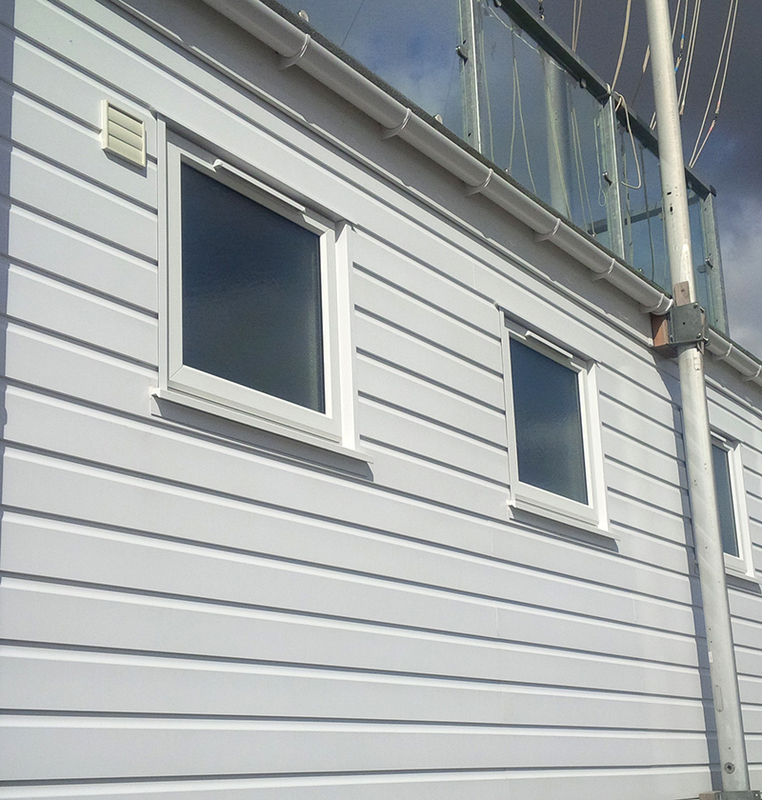 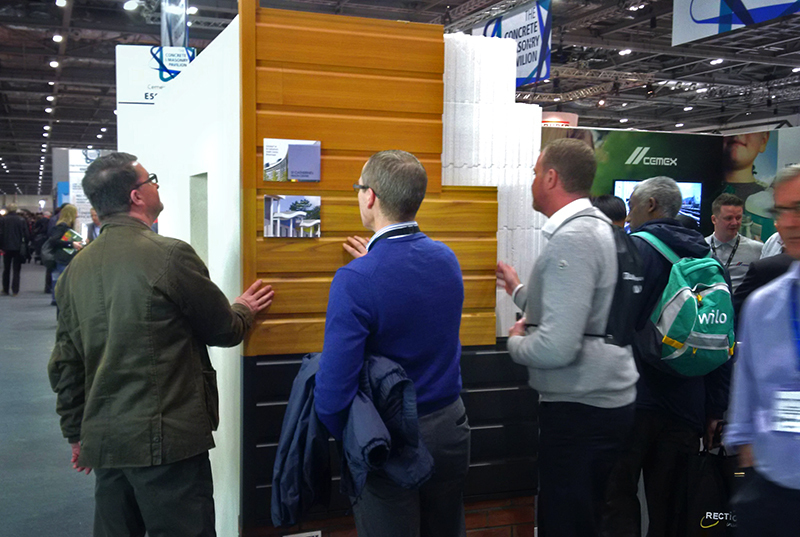 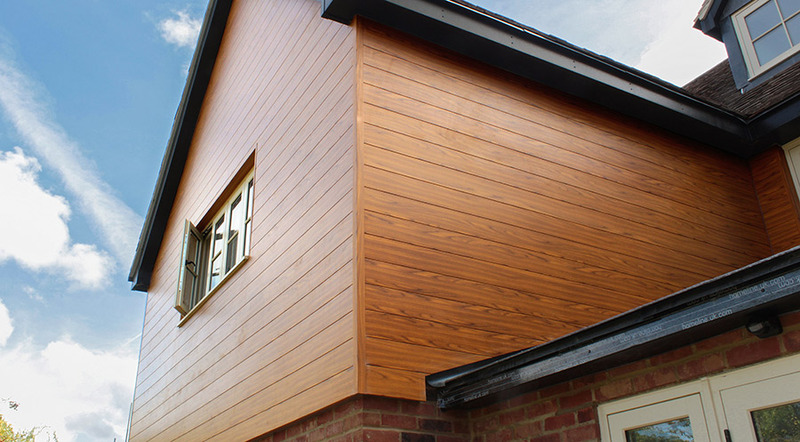 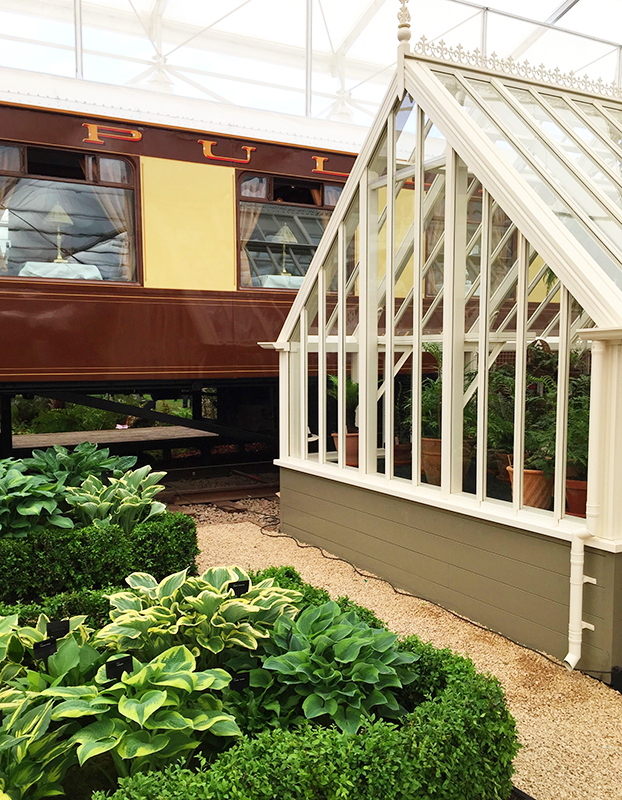 VulcaLap® Shiplap extruded aluminium weatherboard. 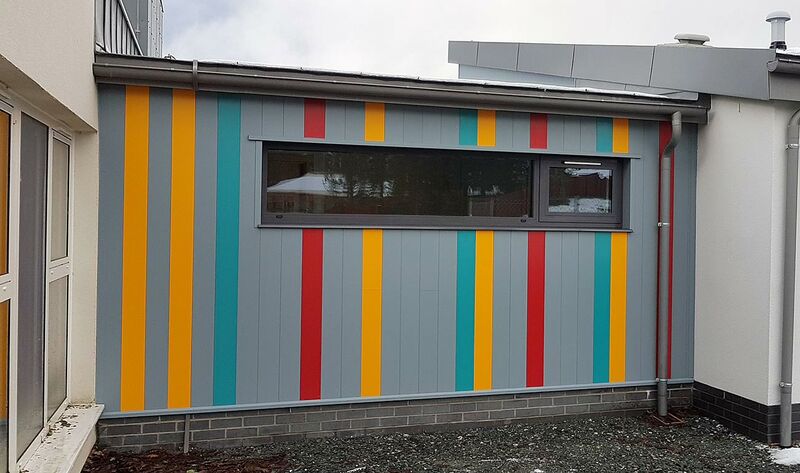 Installed by AP Laflin. 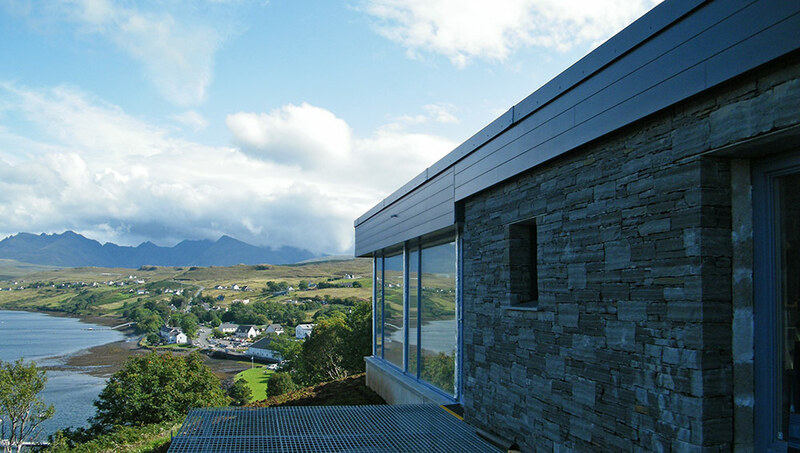 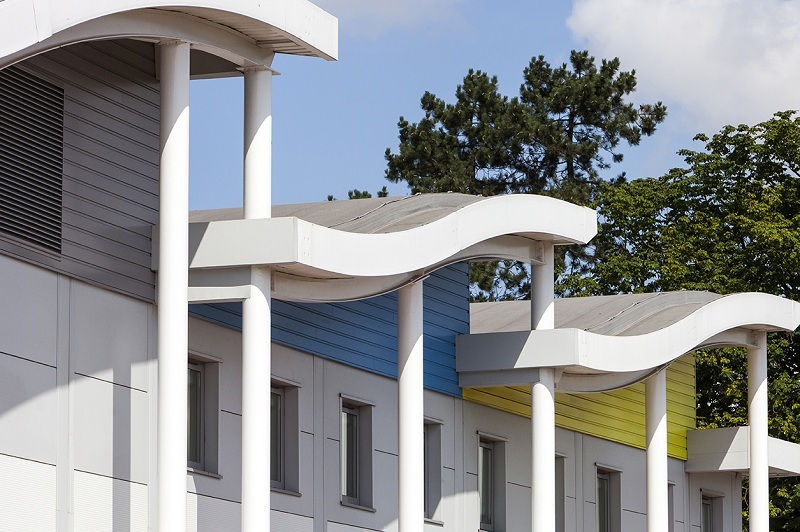 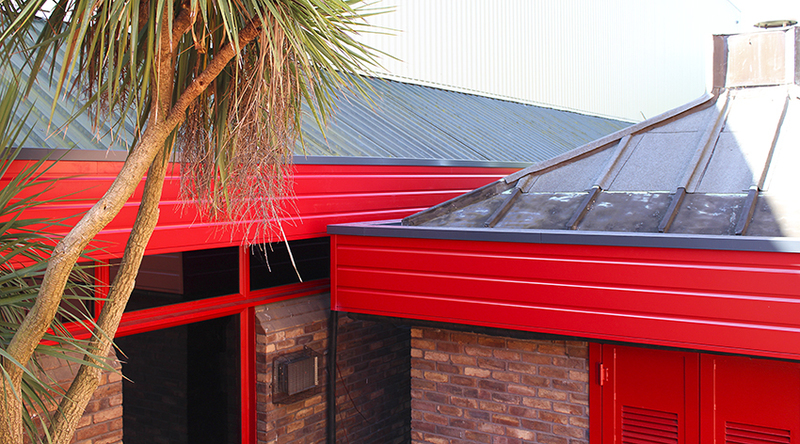 VulcaLap® Shiplap extruded aluminium rainscreen. 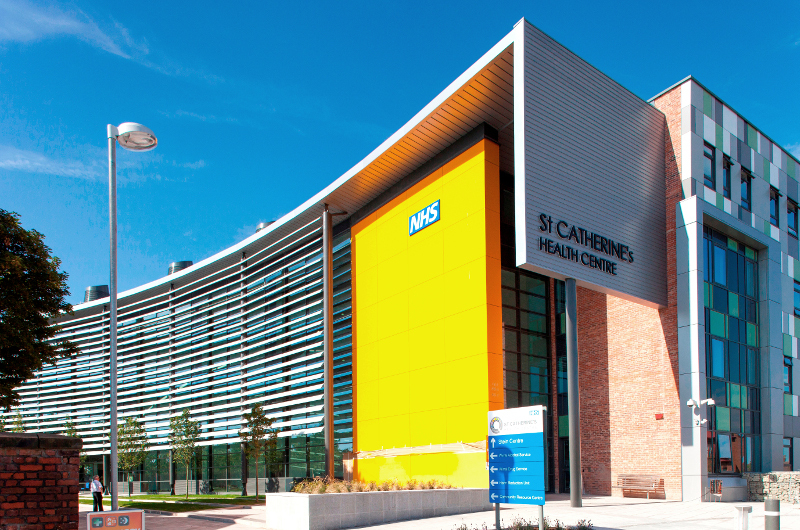 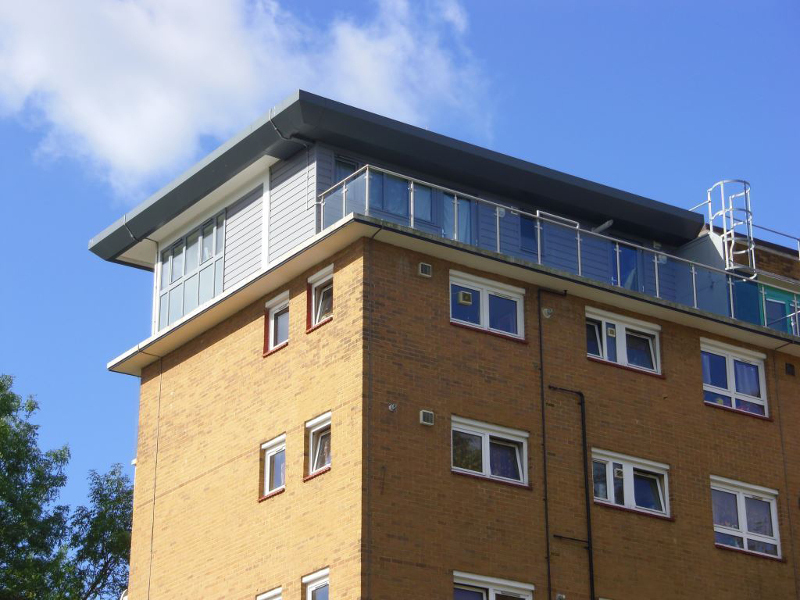 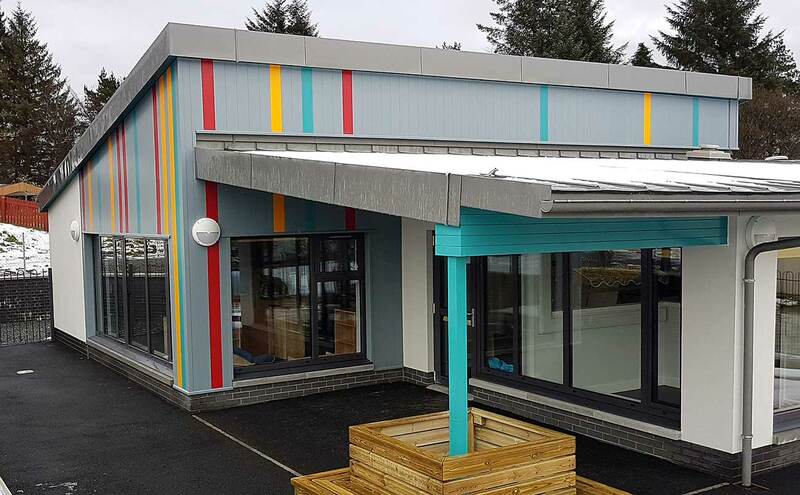 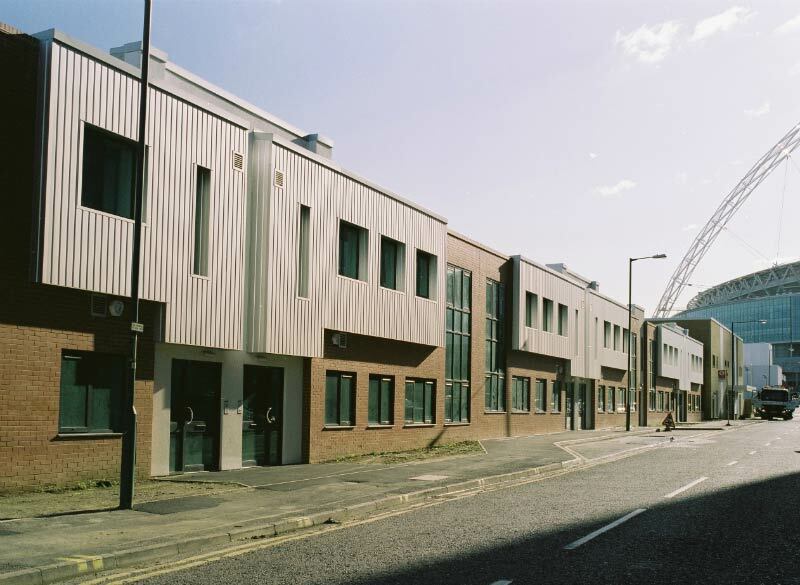 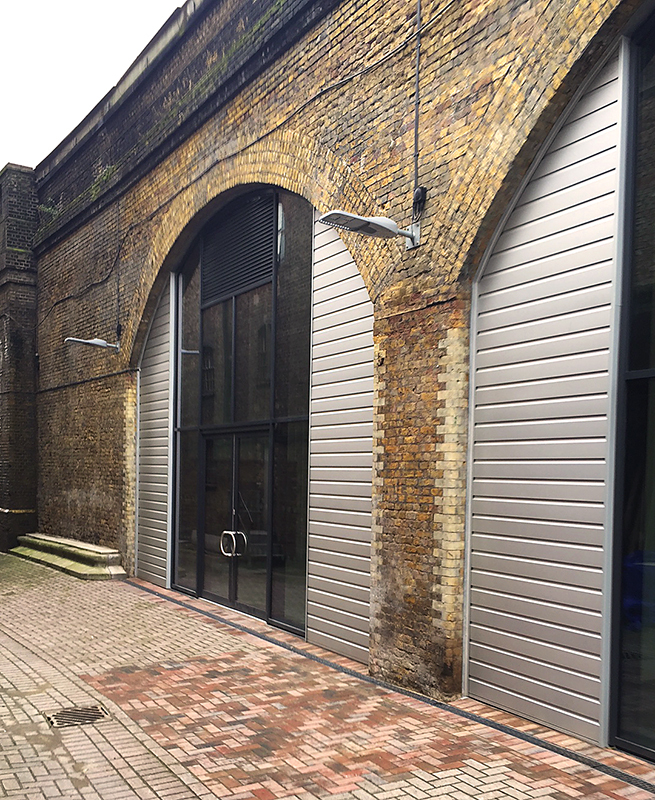 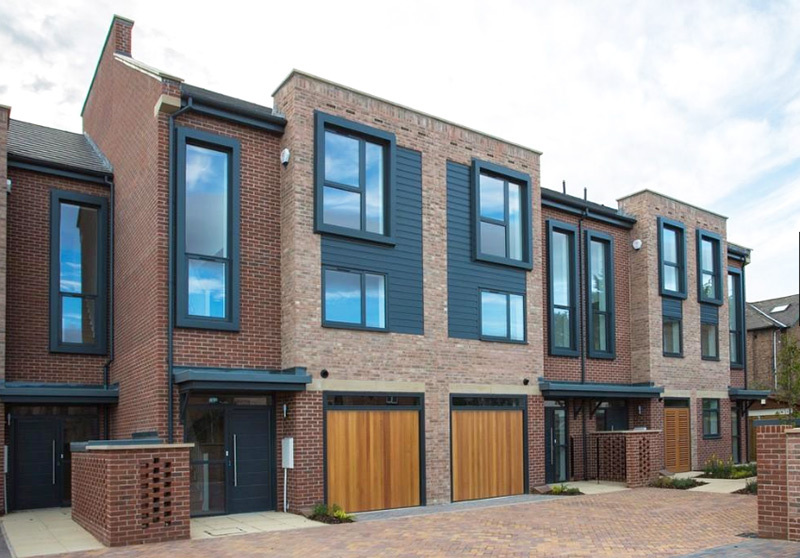 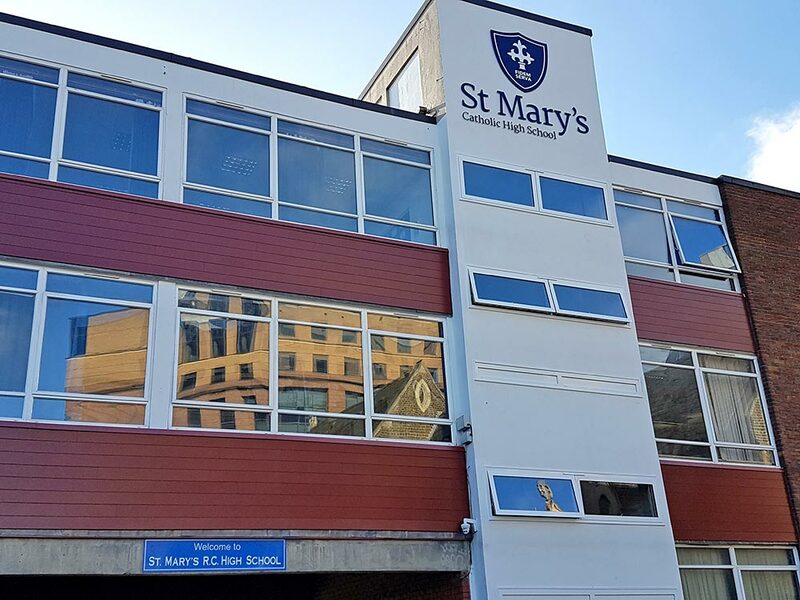 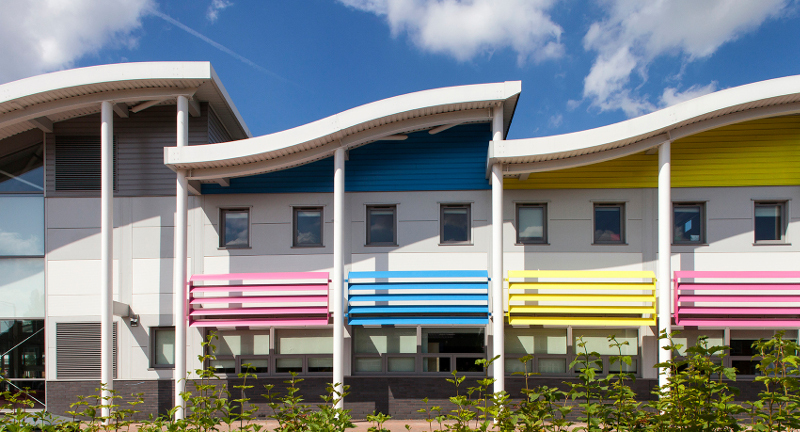 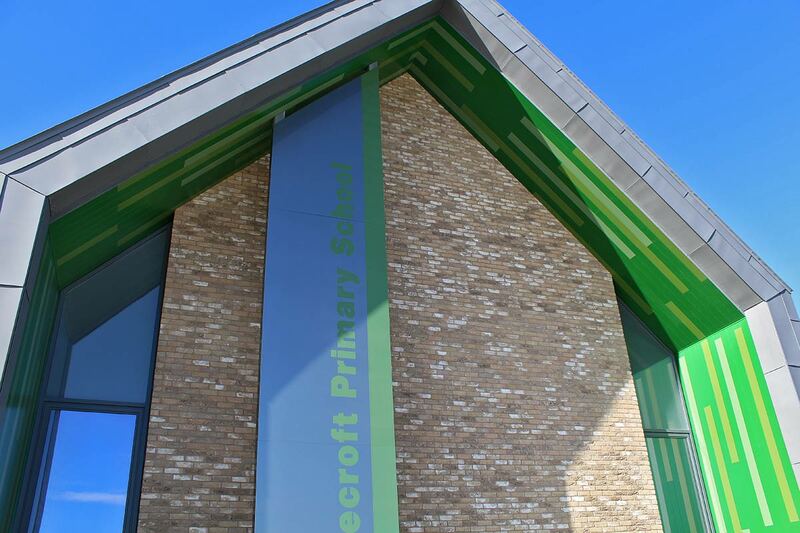 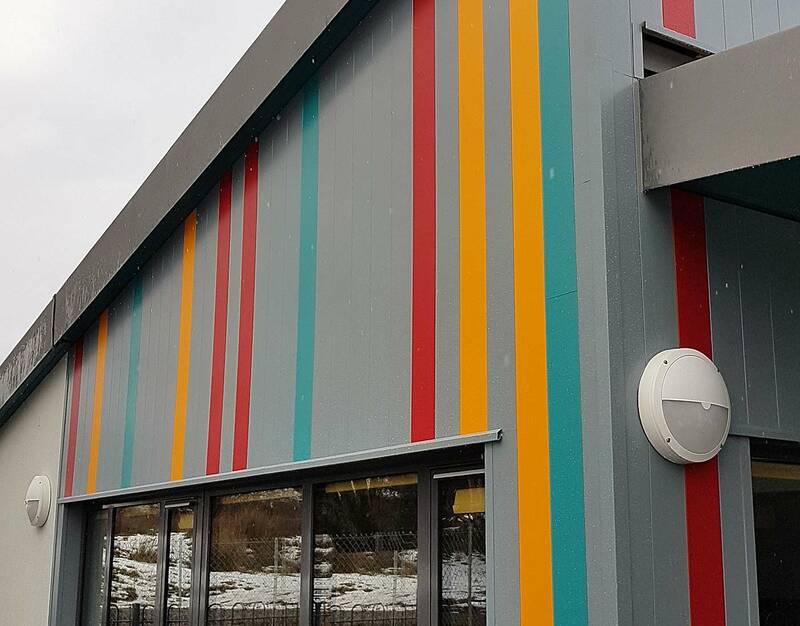 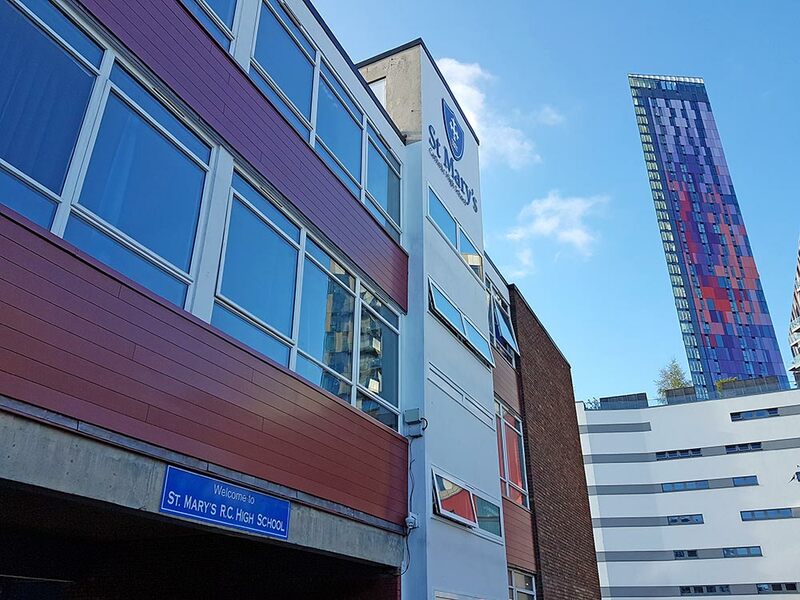 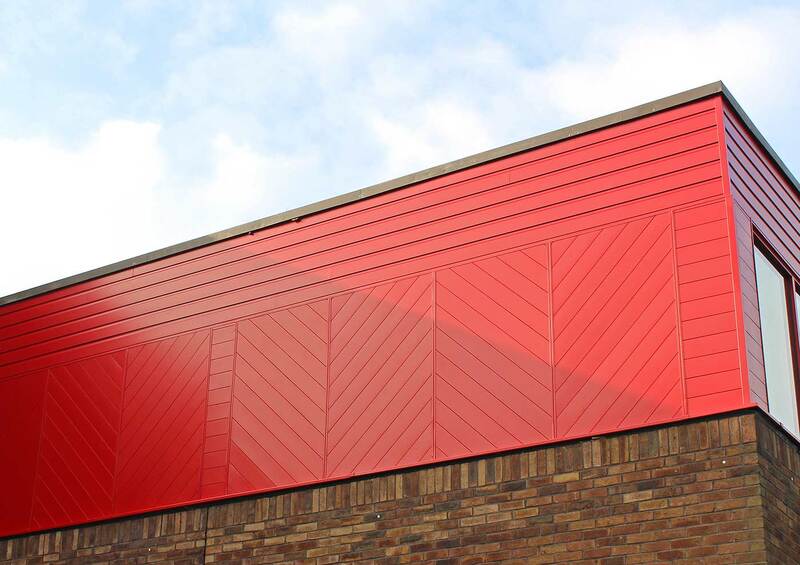 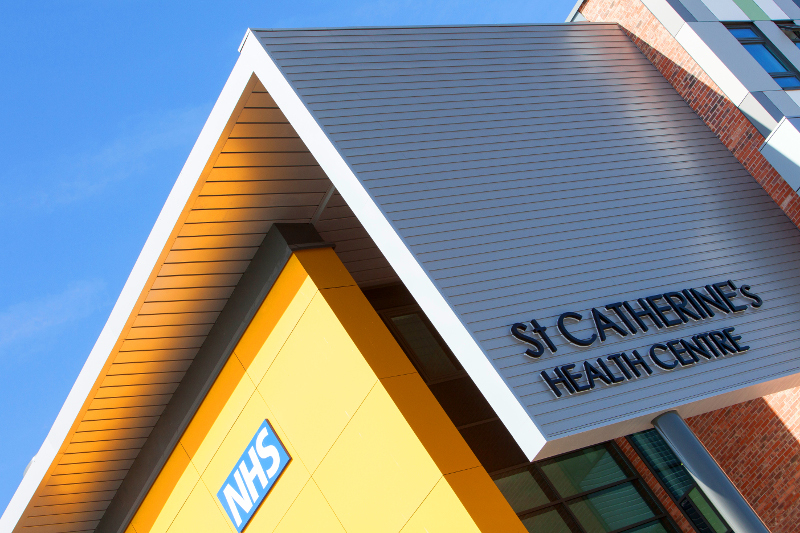 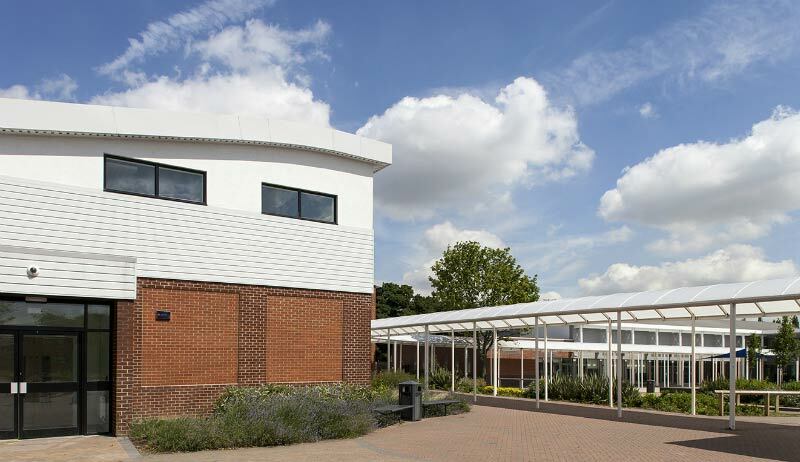 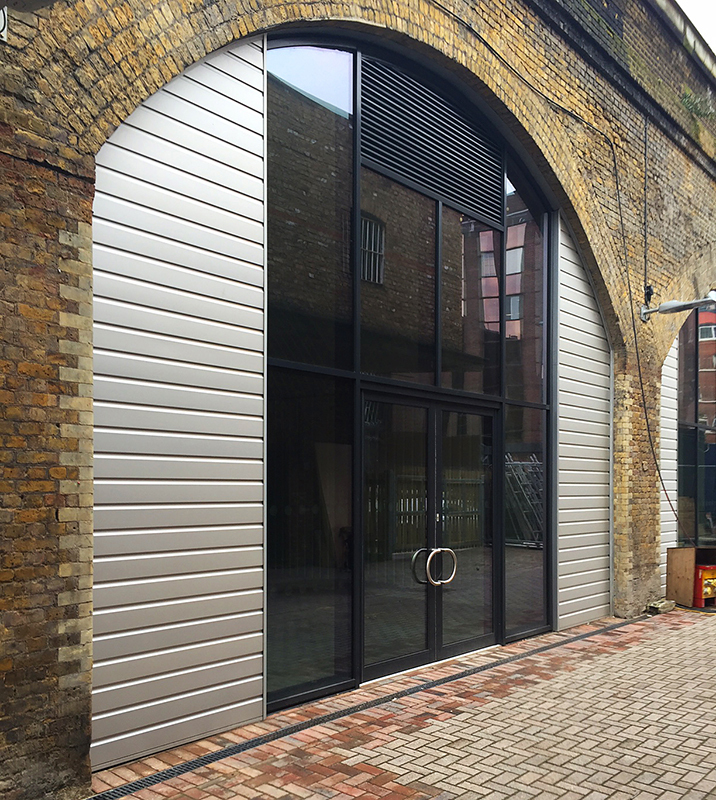 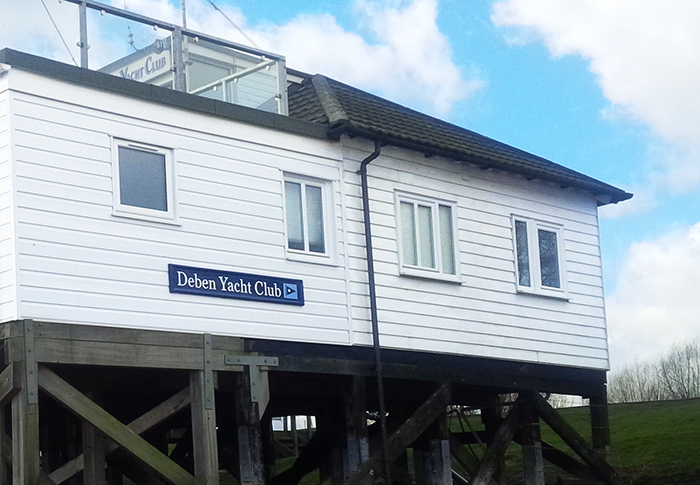 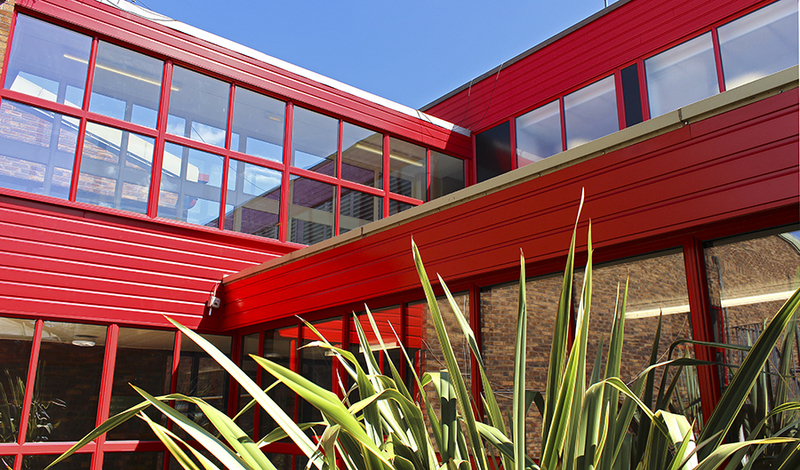 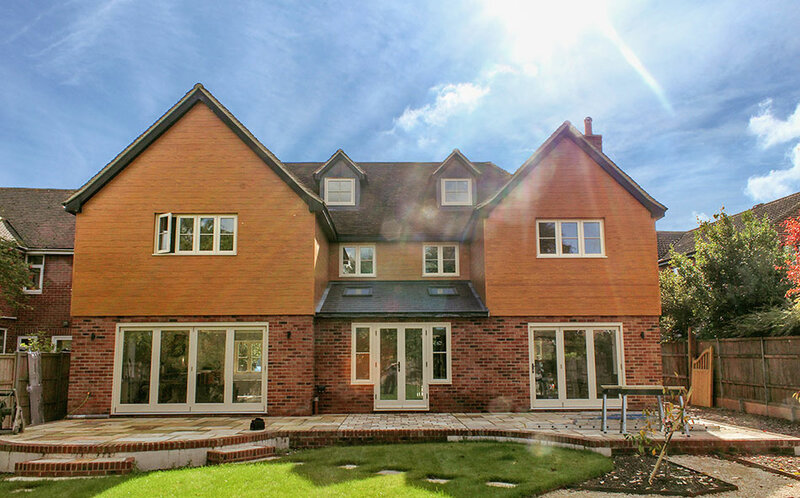 Installed by Morphuse Ltd.
VulcaLap® Shiplap extruded aluminium rainscreen. 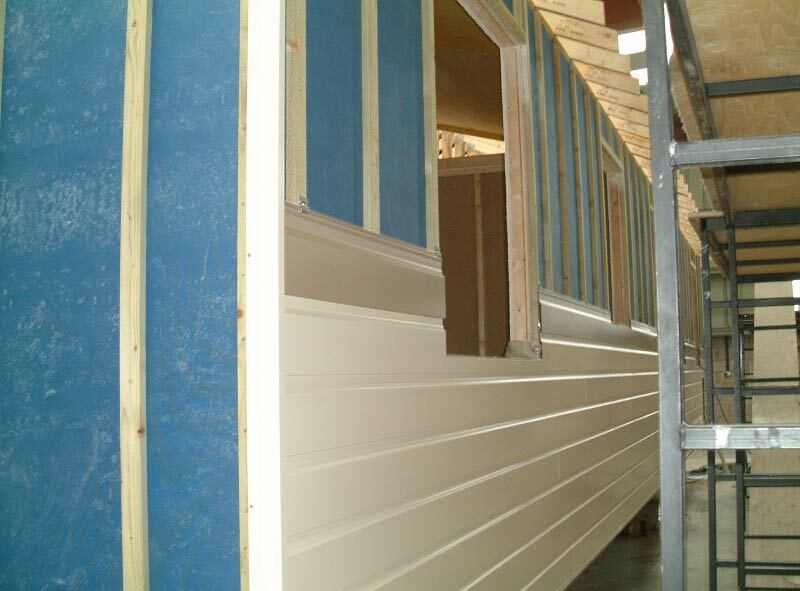 Installed by P M White Dry Lining. 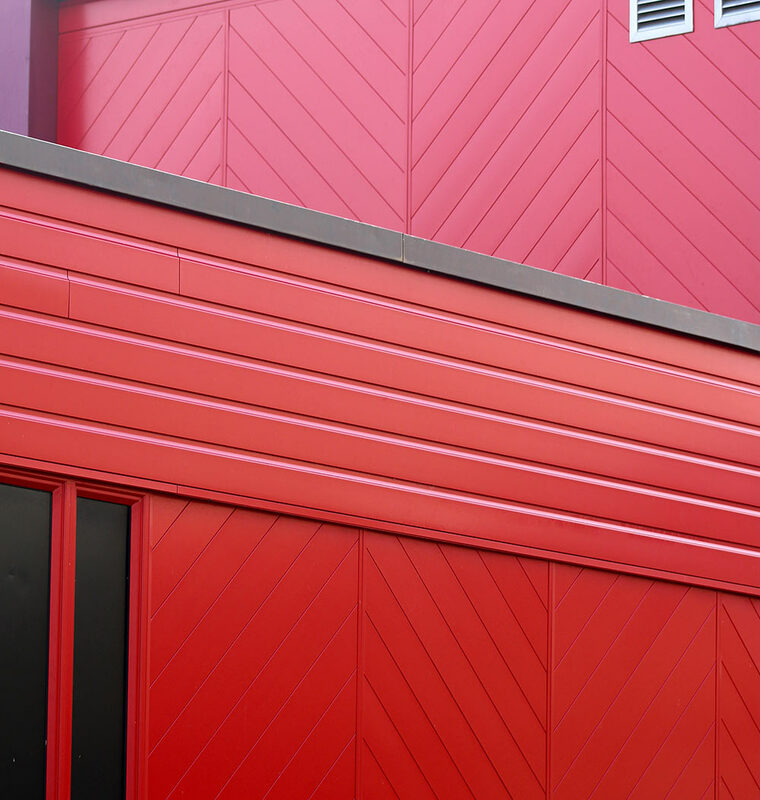 VulcaLap® Shiplap extruded aluminium rainscreen. 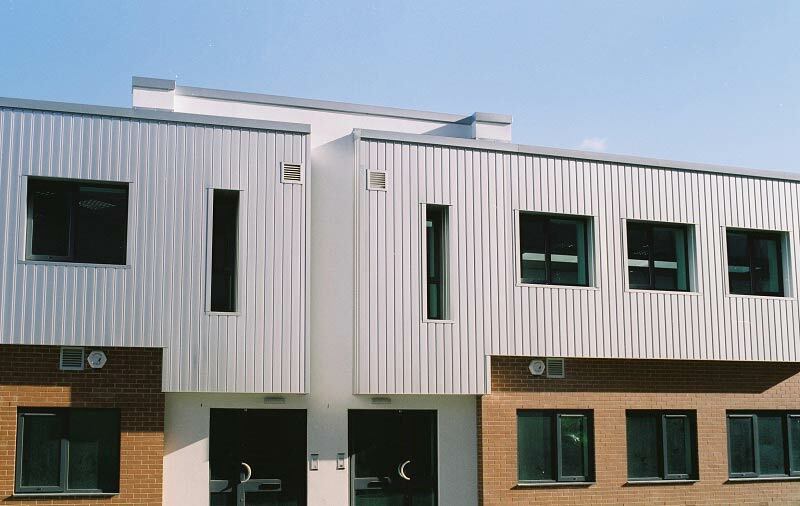 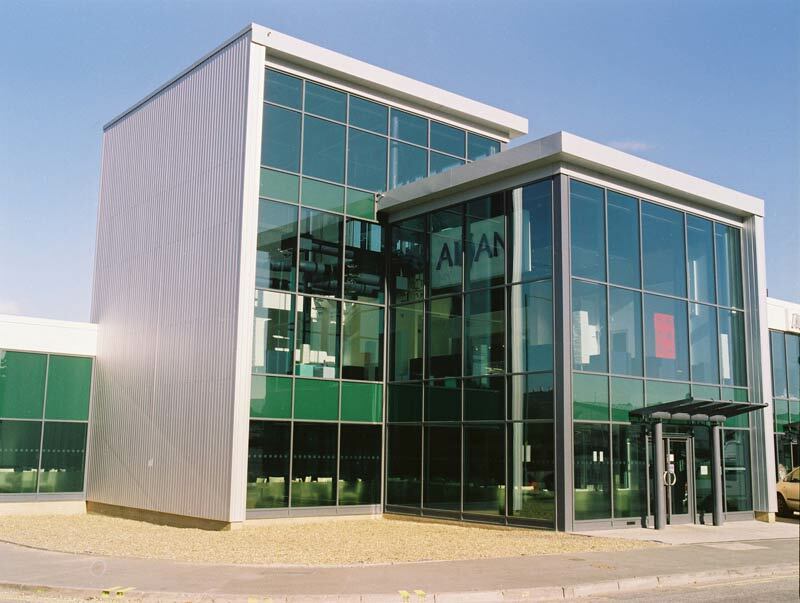 VulcaLap® extruded aluminium rainscreen. 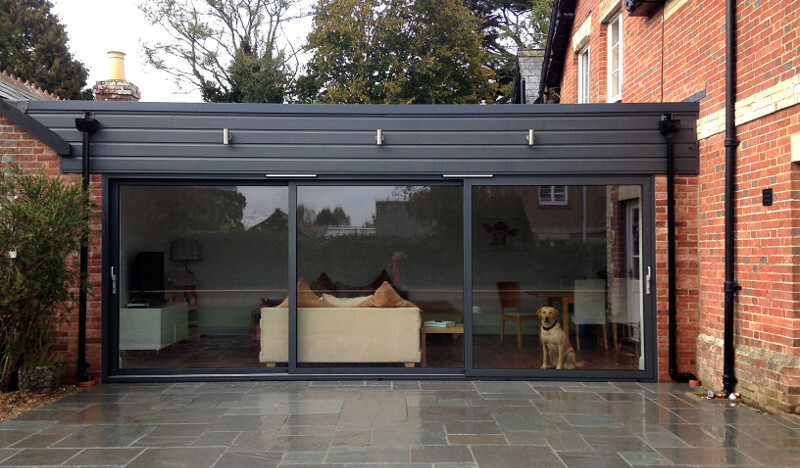 Installed by JW Carpentry. 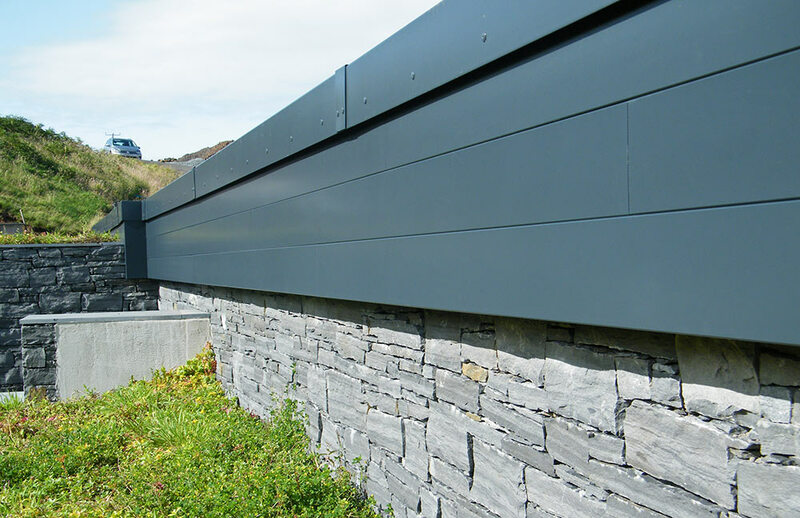 VulcaLap® Shiplap extruded aluminium rainscreen. 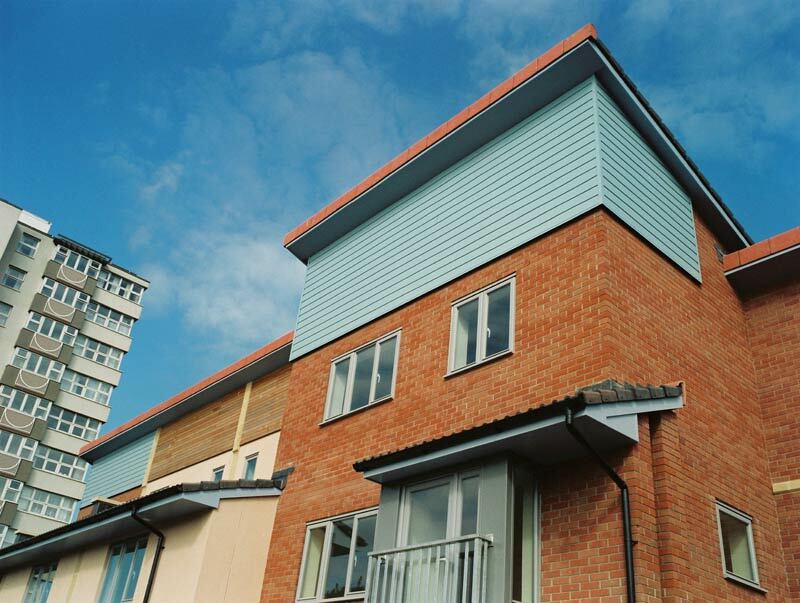 Installed by Encon Insulation. 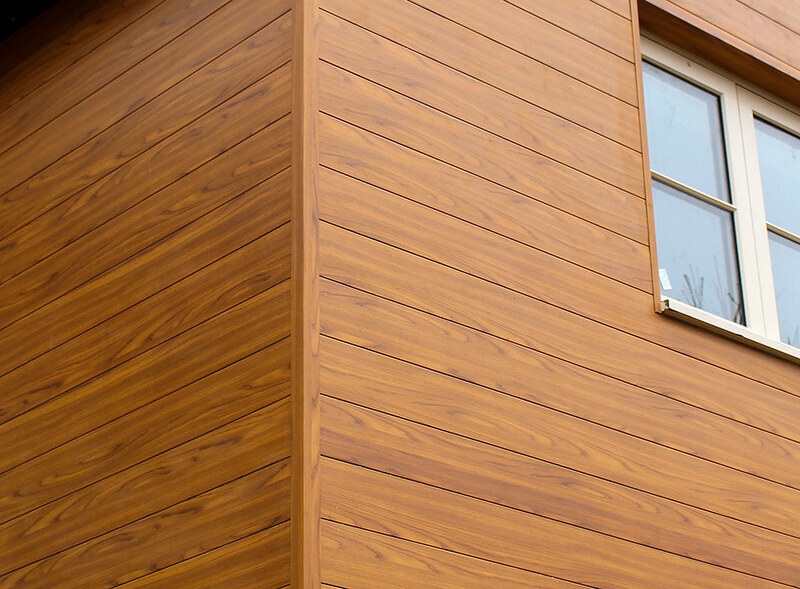 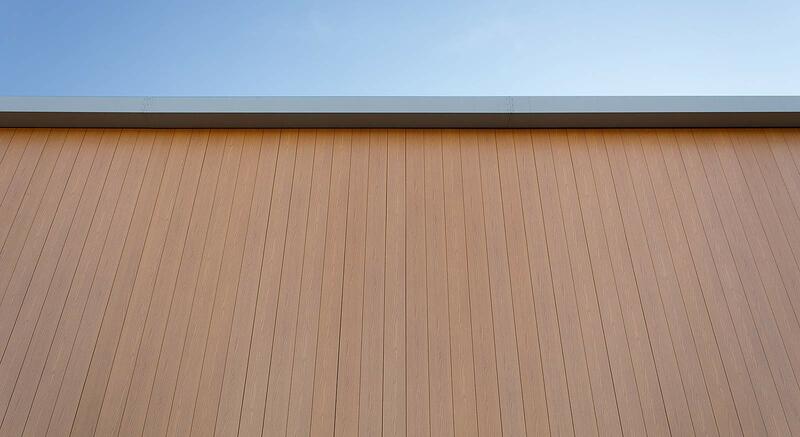 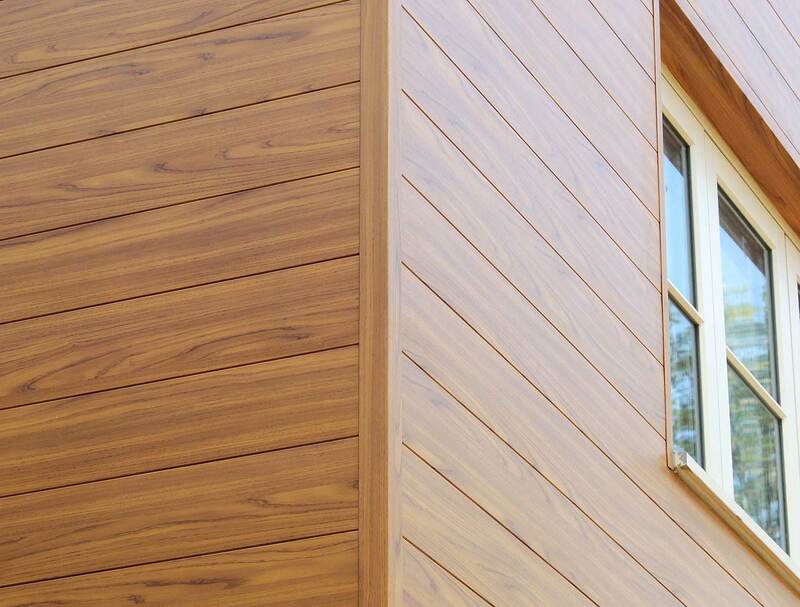 VulcaLap® Shiplap rainscreen. 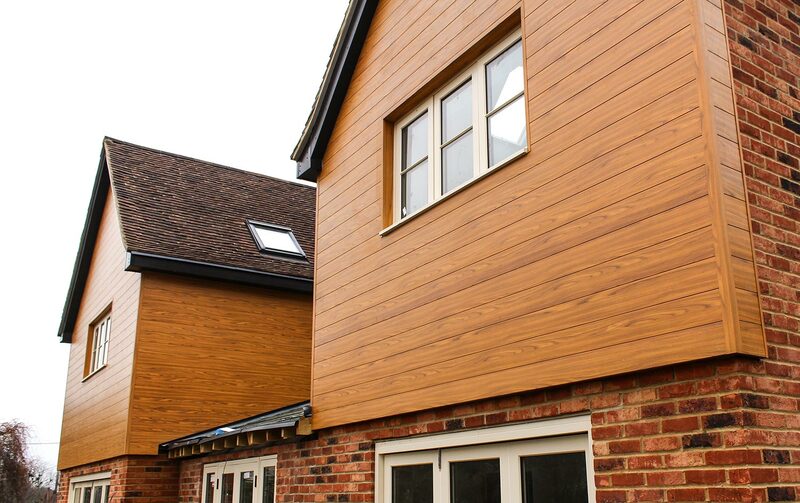 Installed by Encon Insulation. 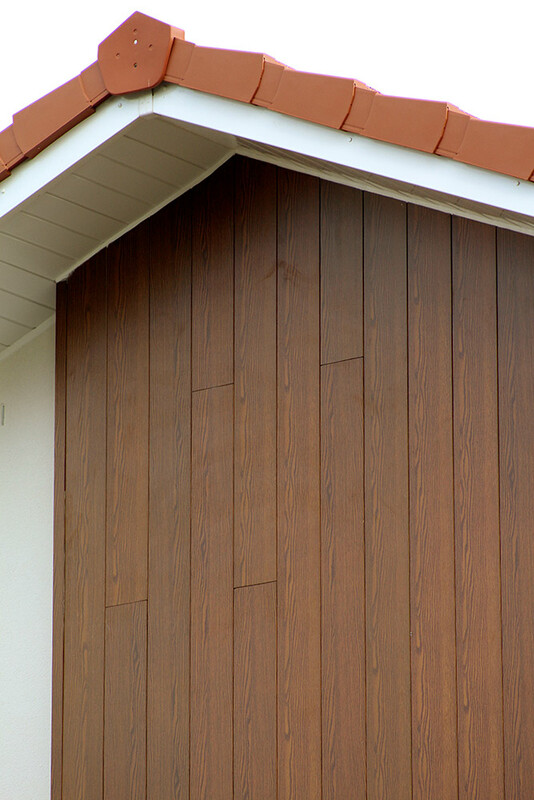 VulcaLap® weatherboard RAL1013, 1019, 8007. 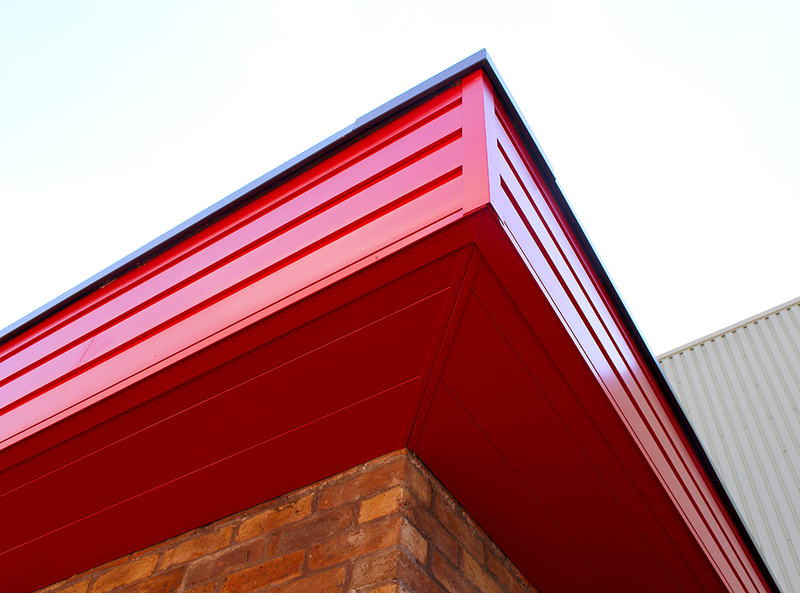 Installed by Western Homes. 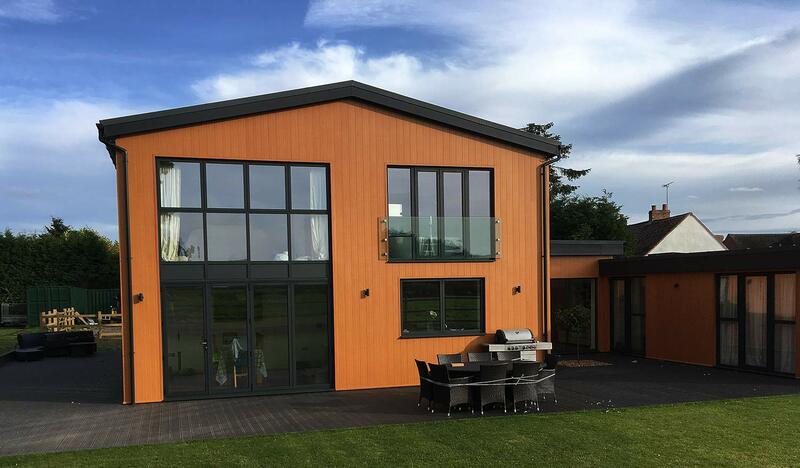 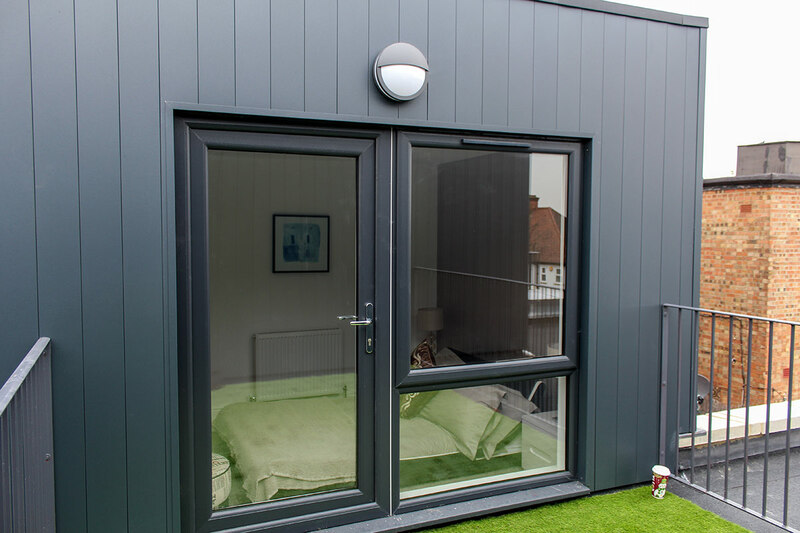 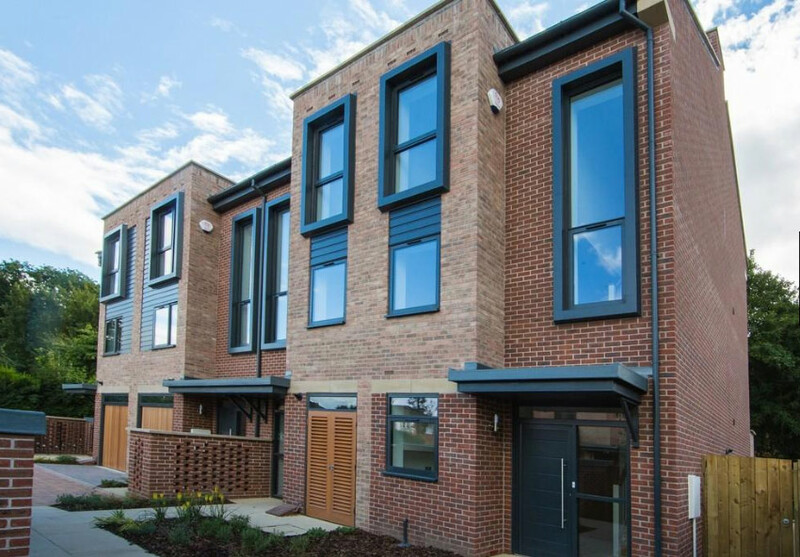 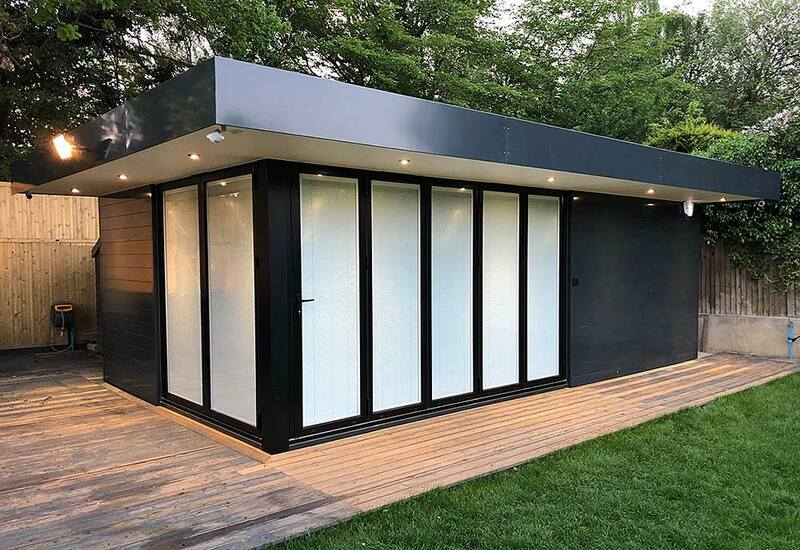 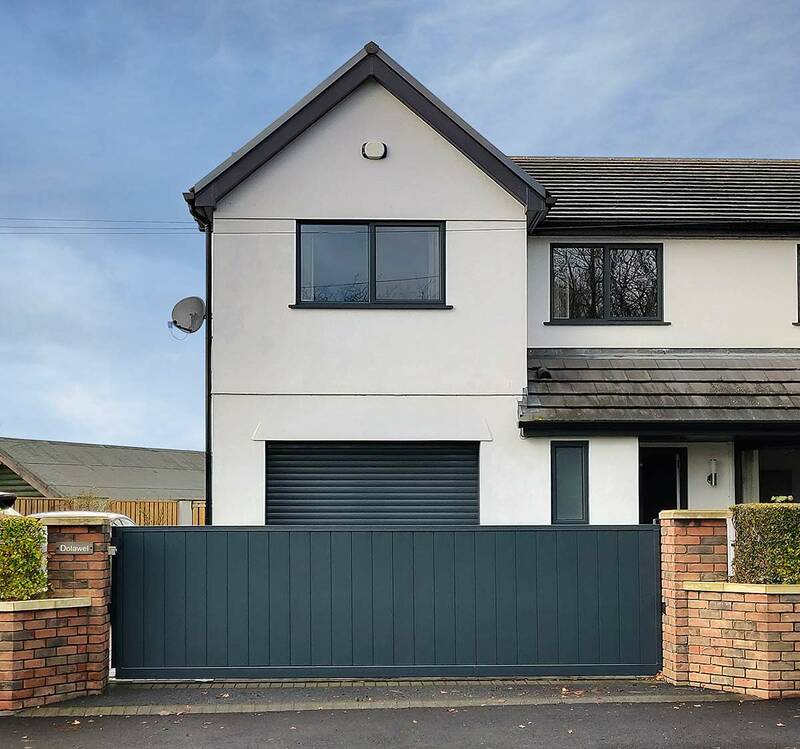 VulcaLap® weatherboard RAL 7015 Grey and 9006 Silver, Installed by Pheonix Building Systems.